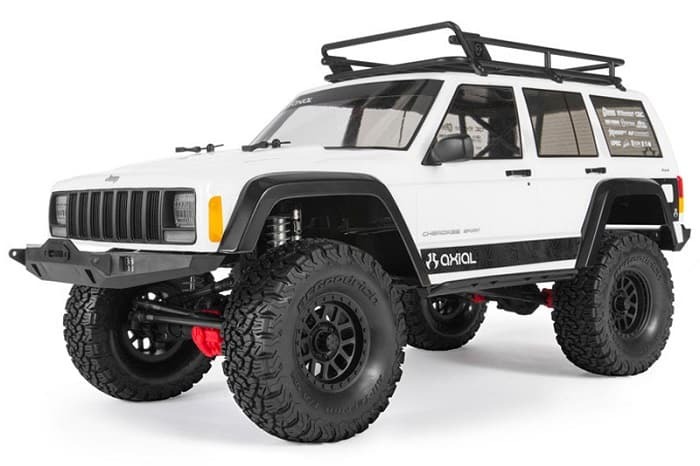 AXIAL SCX10 II JEEP CHEROKEE 4WD KIT ROCK CRAWLER. 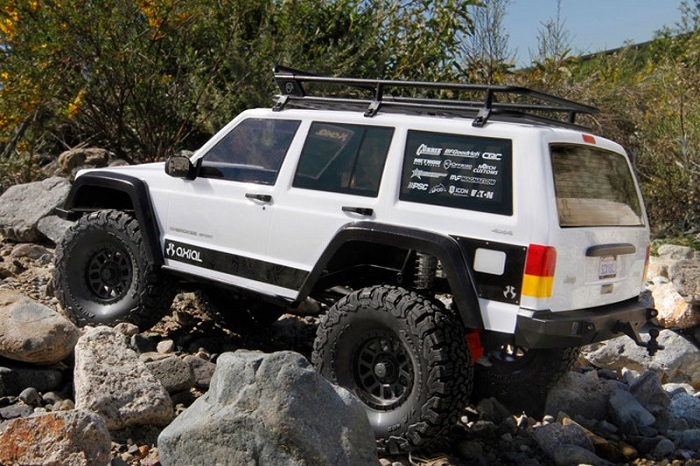 2005 marked the birth of the Axial brand, and shortly after, thoughts about the first SCX10 began, with development wrapping up in 2008. 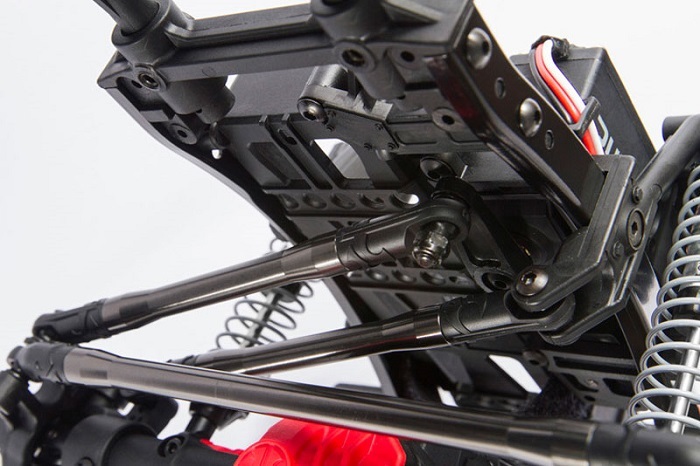 The SCX10 was introduced to the world as a builders kit, paving the way, or better yet, raising the bar for a new generation of scale trail enthusiasts. 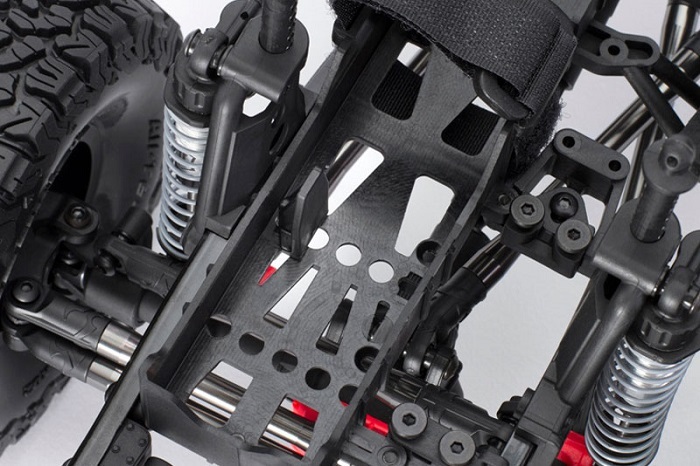 Previously, hobbyists had to “scratch build” a rig which presented a lot of technical hurdles to overcome. 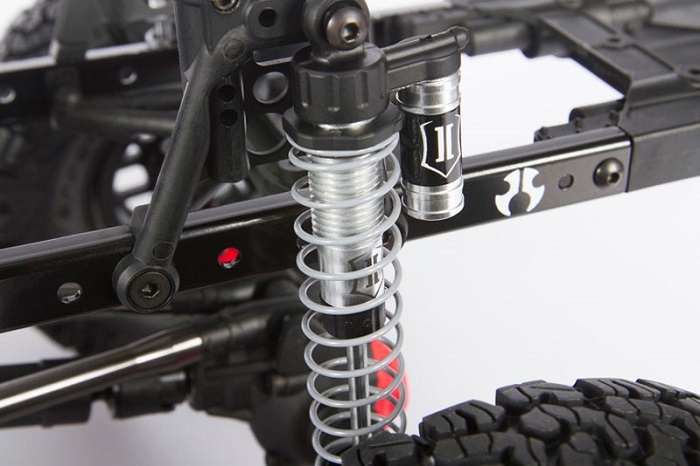 The SCX10 kit gave these “artists” time to focus their attention on other things like personalization and visual customization by removing the issues scratch-built scale rigs presented. And it wasnΆt just as a great kit to build, it was also a very capable driving machine, making it the de facto scale rig the world over. 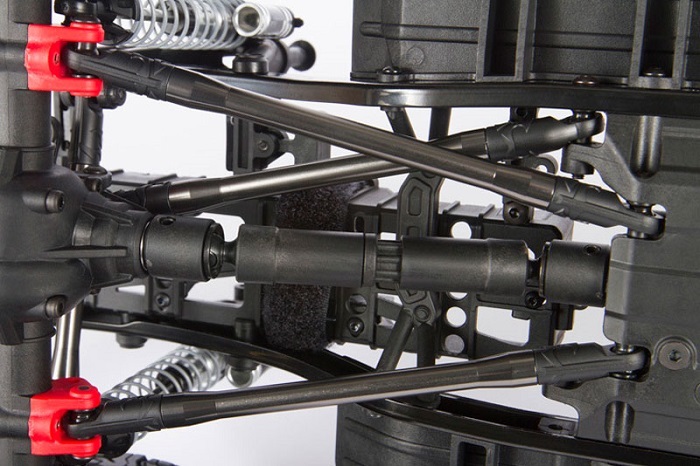 The SCX10 chassis platform provided all the technical attributes as well as scale looks with its signature all-metal twin c-channel frame, solid performing transmission and axles that provided enough realism with capabilities to match. After seven years of utilizing the original AX10 axle and two years of development, Axial is proud to introduce the industry's first high pinion gear set in our newly developed AR44 axle! 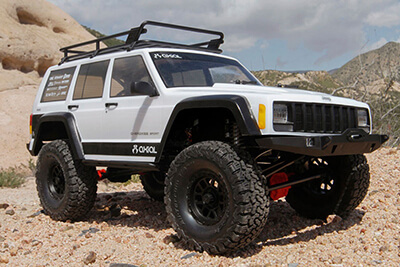 The next chapter of the Axial SCX10 begins with true technological engineering and scale realism. 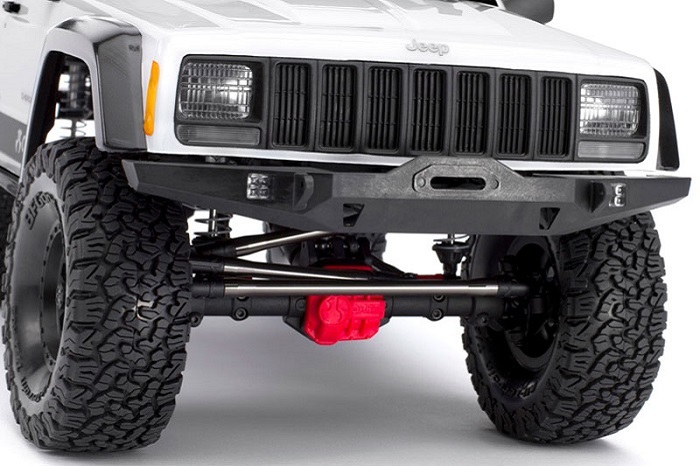 Please Note: This kit in sold in Kit format and requires a radio system, ESC, motor, steering servo, paint, battery, charger, and 4 x AA batteries for completion.